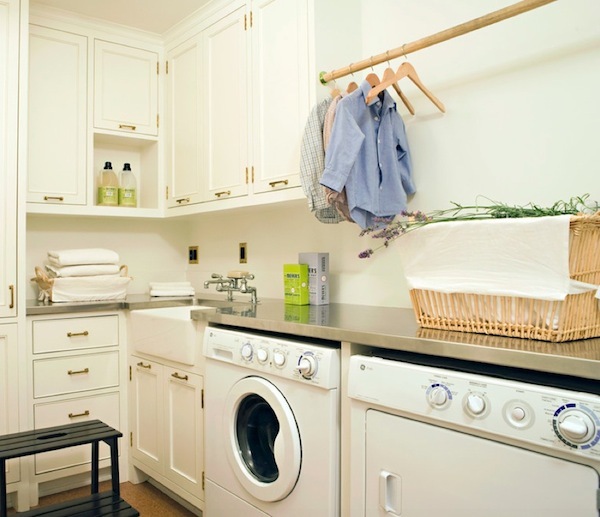 Your laundry area of your home may not be the place you enjoying spending much time. 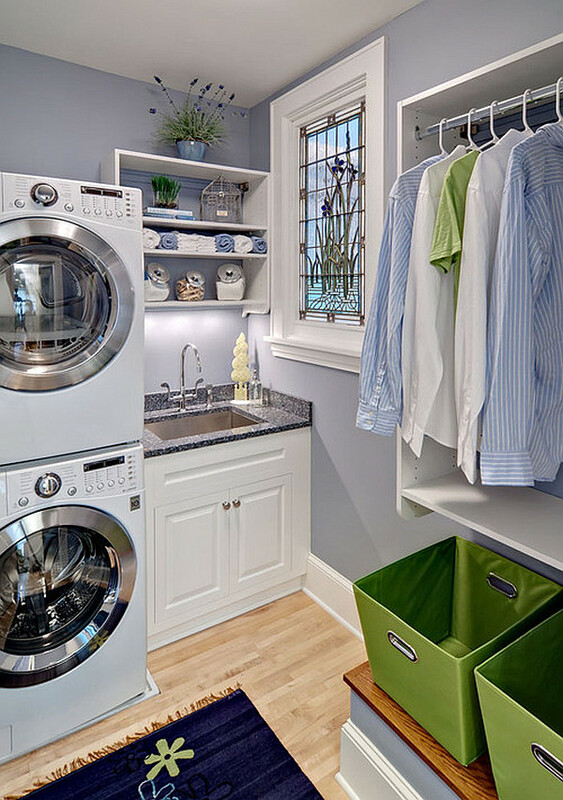 Many people hand dry their clothes and you begin to consider how much time it will take to carry a heap of washing from the laundry room to the basement and down to the backyard, drop the heap and bring out the laundry line or rack outside, get it set up and spread your clothes. It is really a lot of work. And then when it starts raining, you just have to grab the basket again and go packing the clothes and lugging them down to the laundry room again. Instead of this, why not consider using a drying rack? Well, you don’t have to go through all this anymore because the advancements of technology have ensured that. 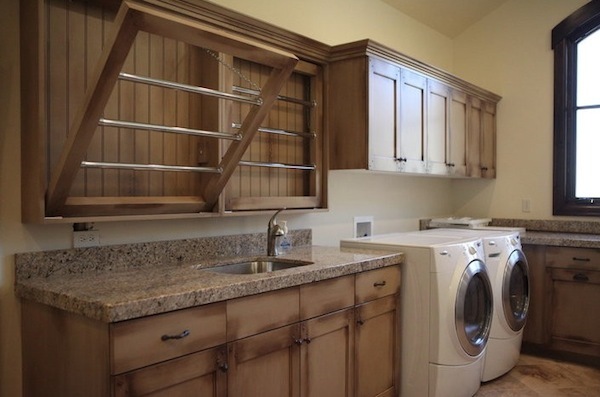 Imagine laundry room being so versatile that you can actually hang your clothes on a rack in there to dry and save you not just time and energy but space also. Listed below are some of the options open to you. 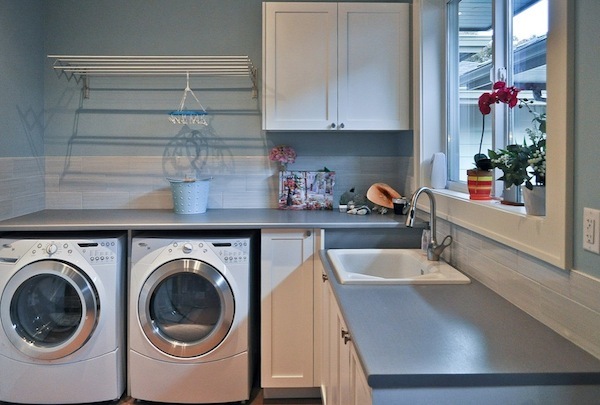 This is a very functional addition to your laundry room that you will forever be grateful for. It is designed in such a way that when it is not in use, you have it closed up like a window and when you want to make use of it, you open it and hang your wet clothes. 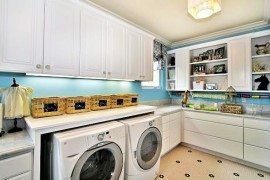 They moistly come as built-ins and you can have as much of them in the laundry room as you want since it does not take up space. 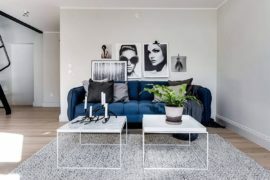 It is a great idea if your home is tight on space. 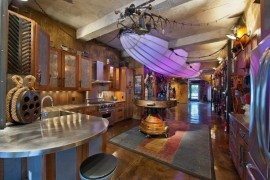 For a custom design, you can always get a kitchen or cabinetry designer to get it done. 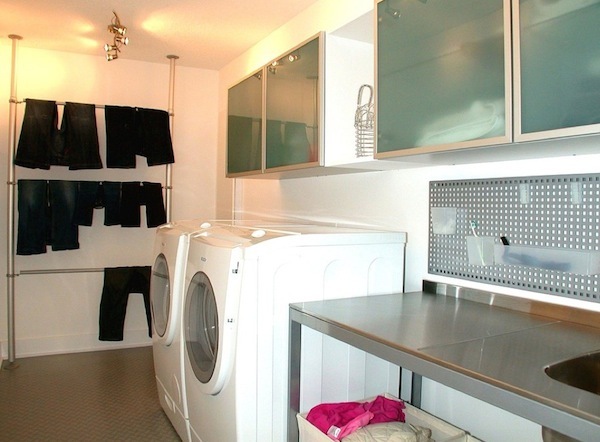 This is another stylish way of drying your clothes without take up space in the laundry room or being subjected to the rigors of taking clothes outside to dry and bringing them back in. 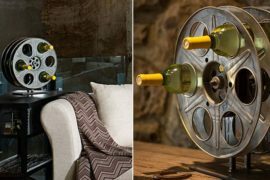 It is in the form of a pull-out rack where you spread your clothes flat to dry and comes with a ball-bearing slide system that makes it very easy for the rack to pull out. 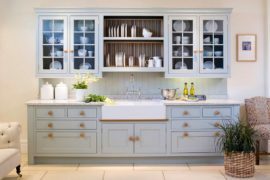 It takes a professional kitchen and cabinetry designer to give you a custom designed drawer-mounted rack. 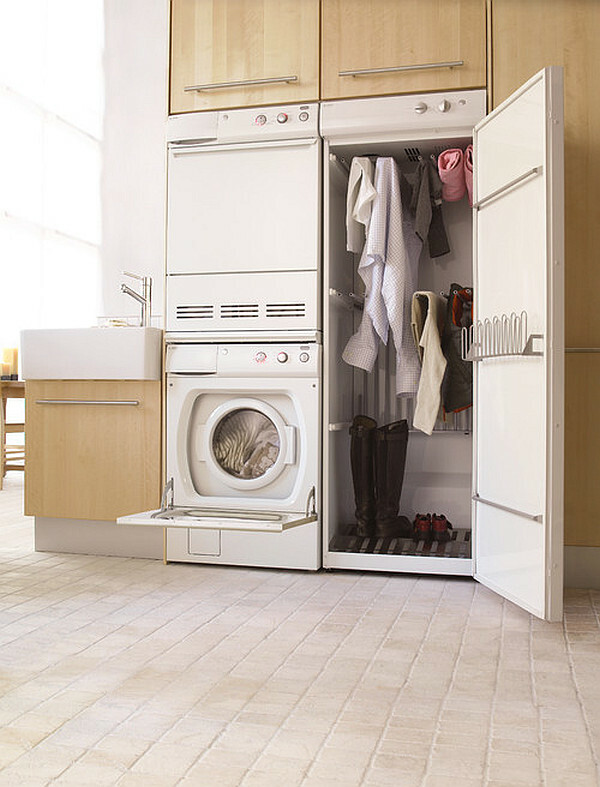 It is another space saving design for small homes and apartments. 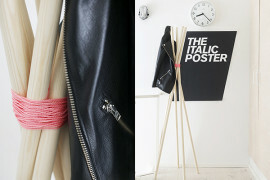 This particular drying rack is designed to fit as close to the wall as possible so that it does not occupy any space. It features two straight poles and cross-bars, between 3 and 5 bars. In using this type of rack, make sure that if you have drier clothes and wet clothes to hang up at the same time, the wet clothes come under so that they don’t pass on moisture to the ones that are already dry. 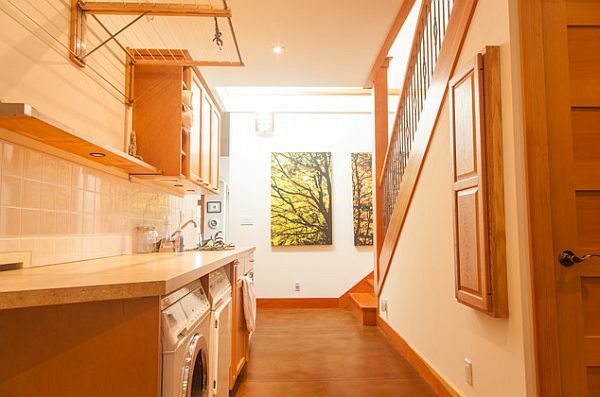 It is also space saving and can be built by a kitchen and cabinetry designer. 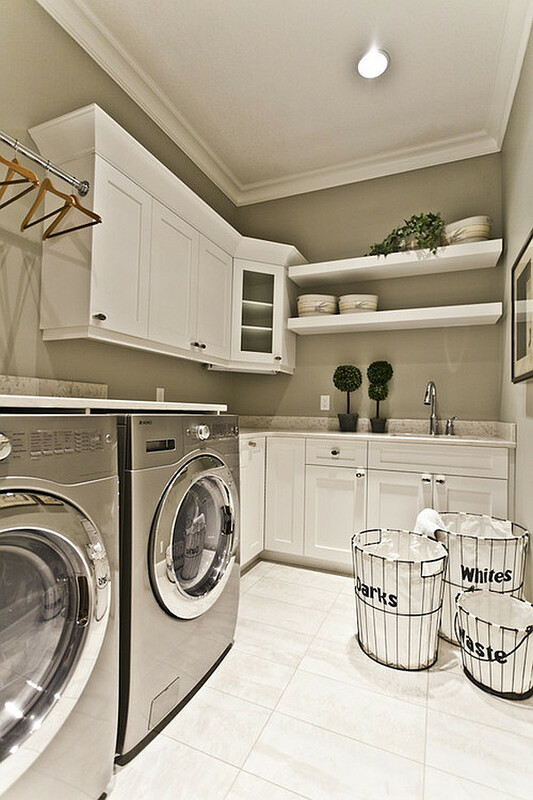 Your laundry area should be a convenient area to hang dry clothes naturally and without having to string them along your entire living room to do it. 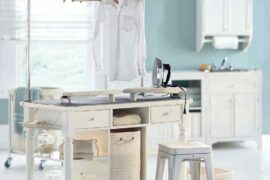 Use these creative and stylish ways to dry your clothes and see how much the laundry chore doesn’t seem as bad anymore. 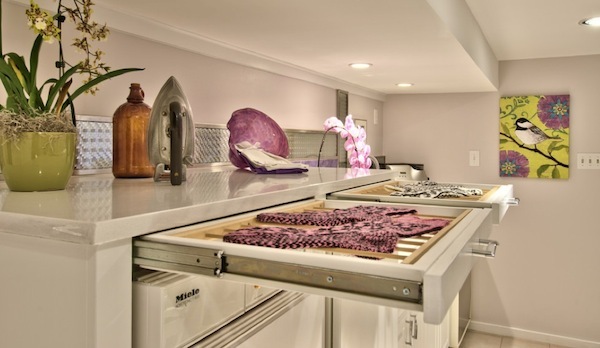 Which of these stylish drying rack options would you like in your home?